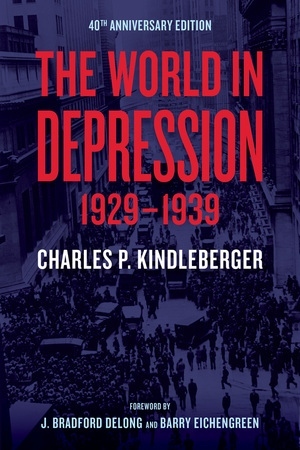 In this magisterial account of the Great Depression, MIT economist Charles Kindleberger emphasizes three factors that continue to shape global financial markets: panic, the power of contagion, and importance of hegemony. Reissued on its fortieth anniversary with a new foreword by Barry J. Eichengreen and J. Bradford DeLong, this masterpiece of economic history shows why U.S. Treasury Secretary Lawrence Summers, during the darkest hours of the 2008 global financial crisis, turned to Kindleberger and his peers for guidance. Charles P. Kindleberger (1910-2003) was an economic historian at the Massachusetts Institute of Technology. Educated at the University of Pennsylvania and Columbia University, he worked for the Federal Reserve Bank of New York and the Bank for International Settlements before serving on the Board of Governors of the Federal Reserve System from 1940 to 1942. After the Second World War, he became a leading architect of the Marshall Plan. He joined the economics faculty at MIT in 1948 and retired in 1976 as the Ford International Professor of Economics. J. Bradford DeLong is Professor of Economics at the UC Berkeley and Research Associate at the National Bureau of Economic Research. From 1993-1995, he was Deputy Assistant Secretary of the U.S. Treasury for Economic Policy. Barry J. Eichengreen is the George C. Pardee and Helen N. Pardee Professor of Economics and Professor of Political Science at UC Berkeley. He is a Research Associate at the National Bureau of Economic Research, Research Fellow of the Centre for Economic Policy Research (London, England), and has been a Senior Policy Advisor at the International Monetary Fund. 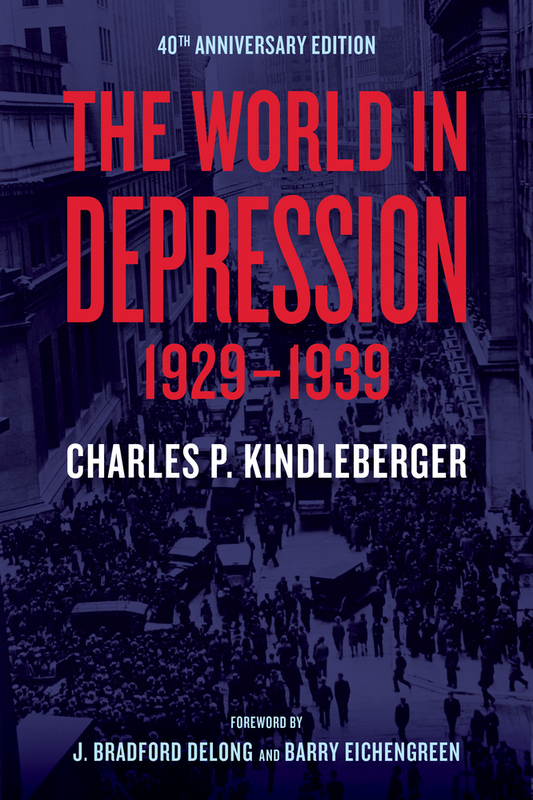 "Charles Kindleberger's The World in Depression opened American eyes to the failures of interdependence behind the First Great Depression. DeLong and Eichengreen render great service by bringing this history to today's readers, with a preface that notes grim parallels and rephrases urgent questions for the Eurozone and for the wider world. You can't go wrong by reading Kindleberger—and better late than never. "—James K. Galbraith, author of Inequality and Instability: A Study of the World Economy Just Before the Great Crisis.